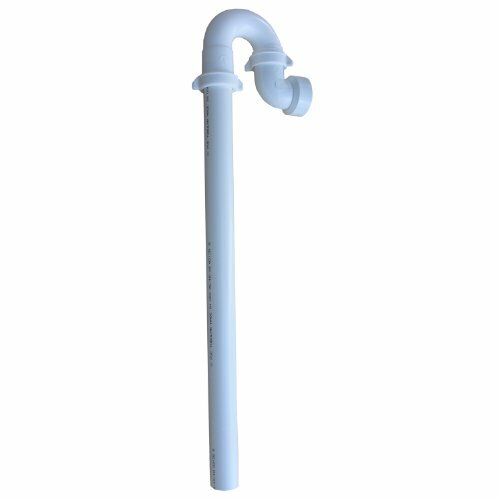 LASCO 03-4337 Tubular Washing Machine Trap With Stand Pipe With Elbow For DWV Pipe Connection, 1 1/2-Inch OD, Plastic, White. White plastic. Comes with elbow for connection to sch 40 pipe. Plastic 1 1/2-OD tubular. 1 1/2 OD slip joint connection. Used in laundry sink drain connection. 1 1/2 OD slip joint connection.